Qatar is “very thankful and grateful” for Turkey’s support during its current diplomatic crisis with neighboring Gulf states that began earlier this month, Qatari Foreign Minister Sheikh Mohammad bin Abdurrahman Al-Sani said Thursday. Turkey has always had a long and strong relationship with Qatar but that nexus does not mean Ankara’s ties to other Gulf nations should be undermined, al-Sani said at a panel discussion in the U.S. capital that focused on how to resolve the crisis. 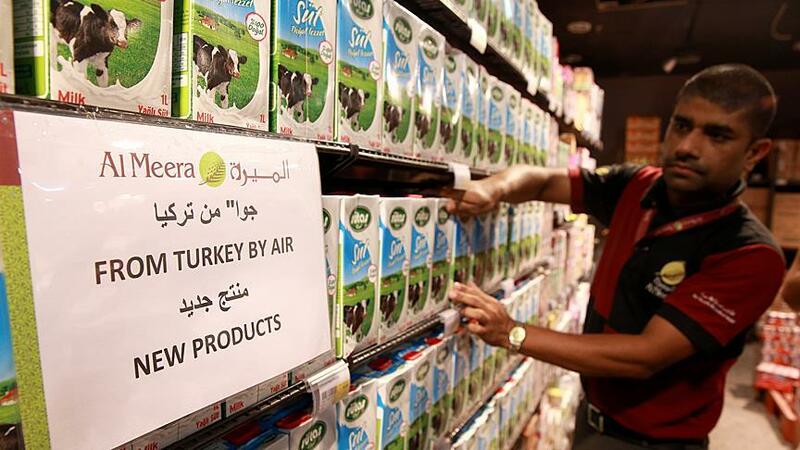 “Turkey has been supporting Qatar with supply chain because of the blockade which [has] been effected and, urges the parties to engage in a dialogue,” he said. Saudi Arabia, Bahrain, Egypt and the United Arab Emirates abruptly cut ties with Qatar on June 5, citing Doha’s support for terrorism.